What Do Ex-Gawker Employees Think of the Gawker Scripts?What does the Gawker diaspora think of the various scripts in development about the site’s downfall? We decided to ask them. Gawker’s New Owner Is Bustle Founder Bryan Goldberg, One of Its Many TargetsThe site’s archive was acquired for $1.35 million. The Next Social Network? We’ve Read the Hot Script Gawker v. Thiel How mad will it make Peter Thiel? And how is it? Peter Thiel Is Bidding on the Corpse of GawkerThe site’s archive could disappear. Two Sundance Documentaries Take on Donald Trump in Real TimeWith Trumped and Nobody Speak, a medium takes on a man whose mission is destroy the medium. A Hulk Hogan/Gawker Doc Is Headed to NetflixThe film is set to screen at Sundance this week. Shiva Ayyadurai, Who Claims to Have Invented Email, Is Suing Another News SiteThe discredited technologist claims to have invented email. This Is What It Costs When a Tech Billionaire Declares War on YouThe weird saga of Gawker, Hulk Hogan, and Peter Thiel comes to a close. 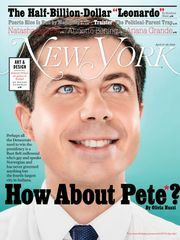 Maybe Peter Thiel Is Just a CrankThe press has taken Peter Thiel very seriously. But maybe it needs to start taking him more literally. Gawker Auction: What Univision Is BuyingUnivision gets millennials, Gawker gets resources. Univision Buys Gawker for $135 MillionThe deal brings Gawker’s independent era to an end. 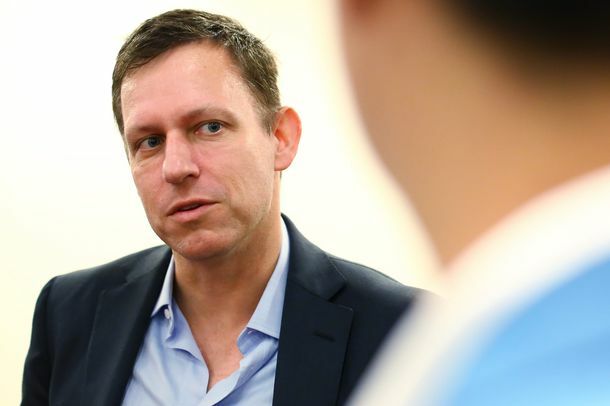 Peter Thiel Says Gawker Lawsuit Is About Protecting PrivacyThe billionaire explains his vendetta against the company. A Muted Celebration (and a Gamergate Heckler) at Gawker’s $1,000 WakeThe feeling of last night’s party was, unlike the product that Gawker puts out, understated. Gawker Founder Nick Denton Will File for BankruptcyHulk Hogan has left him no choice. Gawker Founder Nick Denton May File for BankruptcyNick Denton is liable for $10 million in the Hulk Hogan case. 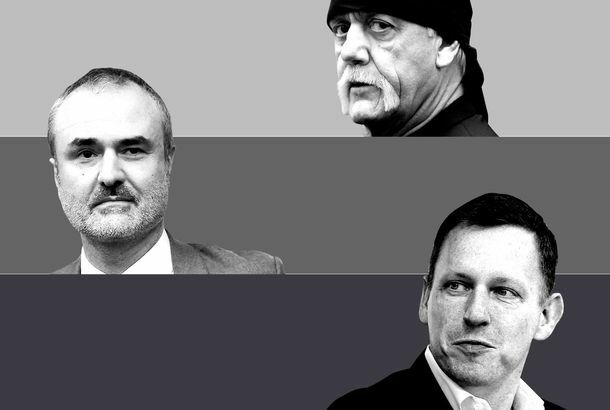 Who’s Going to Buy Gawker?A handful of places are kicking the tires. Hulk Hogan’s Lawyer Didn’t Know Who Was Funding the Gawker Lawsuit Until We DidThe billionaire has never spoken directly with the lawyer he’s cutting checks to. Peter Thiel Isn’t a SupervillainHe’s a rather more familiar figure: a rich man used to getting his way. Peter Thiel’s Anti-Gawker Crusade Won’t Destroy JournalismThe tech billionaire’s scheme won’t open any doors that aren’t already wide open. How Peter Thiel Was Unmasked As Hulk Hogan’s Secret BackerThe Silicon Valley billionaire is funding the pro wrestler’s lawsuit crusade against Gawker Media. 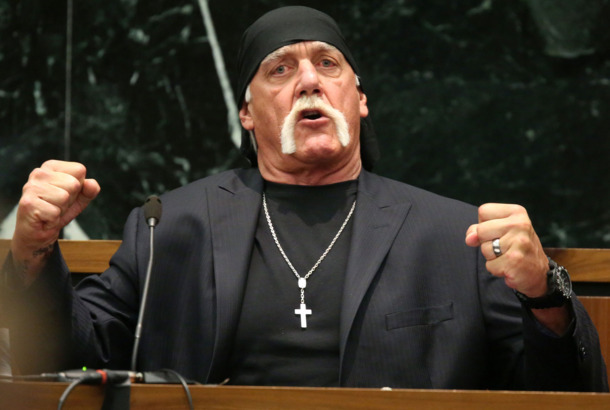 Hulk Hogan Is Suing Gawker Again, Says It Leaked His Racist CommentsGawker denies the allegations. How the Media Is Reacting to Gawker’s $140-Million HitOn the one hand, it’s Gawker. On the other hand, it’s the First Amendment. At the Hogan Trial, the Jury Makes a Surprise Bid to Be the Slimiest CharacterGawker talkers wrestle with wrestler. Jury in Gawker Case Asks Jezebel Editor If She’s Ever Slept With Her BossesWeird they didn’t ask the male defendants the same question. Trump Falls Into Gawker Trap, Retweets MussoliniYou can’t make this stuff up, but you can make it happen. Nick Denton Says He Wants ‘a Gentler Gawker’Plus, tweets from the latest contentious staff meeting. Former Gawker Interns Join the Unpaid-Intern Uprising Three are suing for wages. A.J. Daulerio Out As Gawker Editor; John Cook to Step UpNick Denton to change directions again after a year. Gawker Still Punishing Lena Dunham for Daring to WriteShe has the Miranda July thing, says The New Yorker fiction podcast.